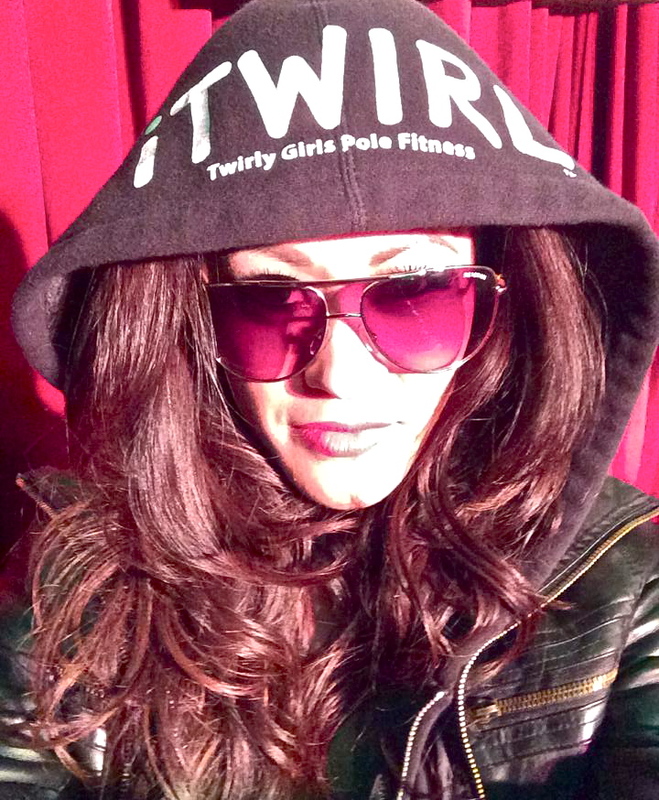 With no dance background, this mother of two found her love for pole 4 years ago at Twirly Girls pole fitness where she trains and teaches her Sunday morning classes. Grace has made several guest appearances in Bay Area showcases supporting various charities. Grace is also a regular performer with the Volare Variety Show in San Francisco. Grace has taken workshops with many leading pole artists, so she said it’s hard to pick one particular person who motivates her since they all have such amazing qualities that she admires. What really motivates her, and makes her heart full is watching her students grow while finding their own style. Grace’s student, Taylor, will be competing for the first time in Level 1 division. I asked Grace what is her favorite part of getting ready for a competition? She said what she enjoys the most is the late night training with fellow competitors, costume ideas and helping create who we want to become onstage. That’s her most favo rite part of the journey. I’ve watched Grace go from student, to instructor, to coaching her own students for competitions and shows. She’s known for her Graceful moves, and the ability to draw in her audience. Off the pole you can find her in scrubs or in the kitchen baking her famous cookies. Grace will be competing in Dramatic/ Entertainment Level 4 Senior/Masters. This event is combined with both dramatic and entertainment. The entertainment focuses less on the difficulty of the tricks executed and more on the dancers ability to interpret a piece of music to provide a comical or upbeat performance. Dramatic focuses less on the difficultly of the trick executed and more on the dancers ability to present a serious, emotional artistic interpretation of a piece of music. Level 4 may perform any trick and any inversion. They should be able to execute at least 3 moves with 1-2 points of contact while inverted.. Level 4 must use both spinning and static poles. We’ll be there cheering on our girl !!!! Go Grace!! !